Animals are so busy In daytime eagles dive for fish, lizards gobble insects, and tortoises dine on cactus flowers. When night falls, bats catch moths, crickets sing, and cougars prowl. 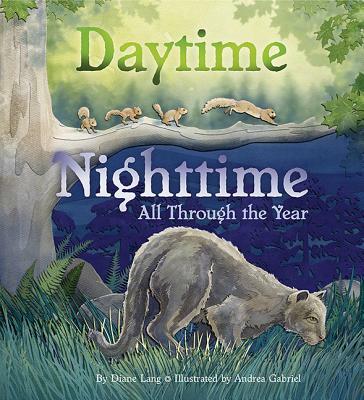 Engaging rhymes describe the action through the cycle of every day and night, as well as through each month of the year. An "Explore More" section provides teachers and parents with lots of ideas to expand on the seasonal and nocturnal themes.